Tali Payne is the founder, editor-in-chief and lead writer of Queen Gorgeous Forever. The views and opinions expressed in this blog belong solely to Tali Payne or the writers of each individual contributed post. This inspirational blog that allows the writers to express their constitutionally guaranteed First Amendment right to freedom of speech. Photos and videos posted to this blog are used for illustrative purposes only. Unless noted in the post, photos/videos don't indicate or are not intended to imply the person depicted in said photo/video is transgender. The information you share in blog comments is public and can be viewed by all users of this site. It takes a court to keep a palace in order so please do your part in keeping our site welcoming, safe, respectful and helpful for all the members of our association. All comments will be reviewed, moderated and posted as long as they are appropriate and compliant with state and federal laws and regulations. Comments that contain offensive language and/or spam will be deleted. Queen Gorgeous Forever and Tali Payne aren't responsible for the content of comments. a uniquely created blog geared for queens everywhere. we do not always come from the same place, religion, we don't even have the same background but we are all queens on the verge of learning a love so impeccable that it can only come from within. An empress of love, a contessa with strength, a vixen of grace that has all confidence. A sovereign of intelligence, A womanist with class, A woman who will speak and will be heard. 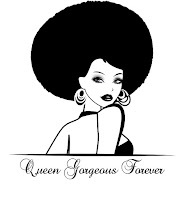 Queens who are gorgeous will live always and forever. Tali Payne & Q.G.F. Simple theme. Powered by Blogger.